Are The Japanese Really Inscrutable? How much do you think you know about the Japanese? During the last fifty years, Japan's rise to the status of major world power has been nothing less than remarkable, yet no culture remains more misunderstood. 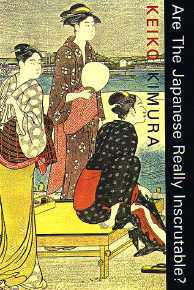 Specifically designed for Westerners, Keiko Kimura's clear, accessible and wide-ranging new study examines all aspects of Japanese life and provides a complete account of Japanese morals, manners and customs. It will prove invaluable to anyone who comes into contact with the Japanese through work, travel or study.